"A bheil sibh 'g iarraidh a dhanns?" or, in English, "Would you like to dance?" Try something new! All welcome! No partner required. We are almost done for the season but come on out and learn more at our first class in September. For more information, contact Eric or Elizabeth Kean, 403-527-4708 . Only requirement: flat, comfortable shoes. Weekly classes 7:00 - 9:00 p.m., Wednesday evenings in Room CC120 Cultural Centre, 299 College Dr. S.E., Medicine Hat. Next season, classes will start again on Wednesday, 5 September 2018 at St. John's Presbyterian Church. 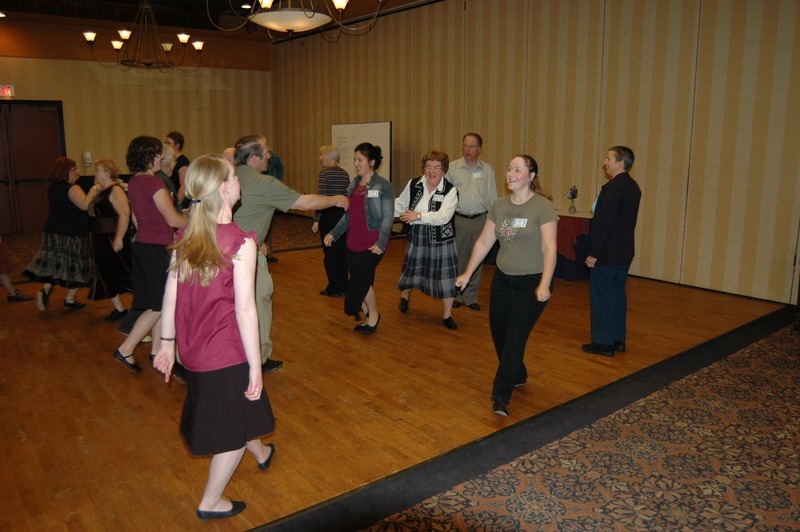 The focus for this class is learning technique and the new dances that you might encounter at various workshops. Whether you have a good base knowledge of the steps and formations or you are just learning, this class will help you become familiar with a wide variety of dances. This class has a social atmosphere where learning is fun! Try it out before you join! For more information on this class, please contact Elizabeth or Eric Kean at (403) 527-4708.